One would think for a moment, that this is a totally absurd article, to attempt to pitch a Nikkor super zoom with a pro lineup glass. But to my surprise, it's in fact, one of the hottest topic on the Internet too! Let's face it, the Nikkor 18-200mm is not exactly that affordably priced, with its net value pegged at the price of the Nikon D5000 body. And here we have the Nikkor 17-55mm F/2.8 glass, which is priced at twice that premium. Naturally, one would ask the same simple question of - What exactly are we getting for that extra grand? 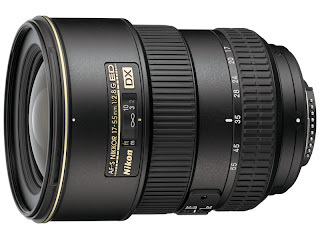 This review also began partly because of my desire to evaluate the Nikkor 17-55mm F/2.8 lens for my Nikon D90, while really wanting to know exactly how big the difference a pro lens lineup would really make against my Nikkor 18-200mm lens. Details wise, I reference you to a decent comparison of both lenses on a Japanese web site [here]. You be the judge. Personally, I see only marginal difference between them! Very interesting findings indeed! It looks to me that the very limited available lights have somewhat overpowered the full VR capability of the lens, causing shakes in some of the images. A tripod would help here?